One part of the Chicago Symphony Orchestra Association’s mission is to use the “extraordinary power of music to create connections and build community.” Of course, this is something that I respect and wholeheartedly believe. But truthfully, it is not what brought me to the Civic Orchestra. I came here to receive premier training that would help me to win and succeed in a full-time orchestral job. However, this is not the complete Civic Orchestra experience. 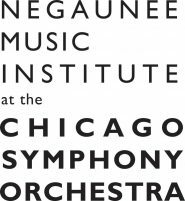 In addition to our free orchestral and chamber concerts at Symphony Center, we perform many more concerts outside the formal concert hall in the greater Chicago area. Community engagement widens our worldview, but I wonder if this is making an impact on everyone involved. Is it really worth it? A Civic woodwind quintet performs at the Stony Island Arts Bank. Photo credit: Todd Rosenberg. Yes, we can see our Chicago community audiences visibly feeding off our passion. Post-concert, they usually ask us when we will be back. They say that they are surprised at how much they enjoy classical music, and that it must be seeing us perform live that truly engages them. Even with the audience’s meaningful feedback (being the selfish person that I am), I still question, “Is this how I want to invest my time? Does performing community engagement concerts really make an impact on my future? Is this what I want to get out of my Civic Orchestra experience?” Furthermore, our administrators must address similar questions, as these activities require additional organization and funding. Our Bach Brandenburg Marathon was spearheaded by Chicago Symphony Orchestra’s Judson and Joyce Green Creative Consultant, Yo-Yo Ma. Having him around reminded us to consider the useful lessons we can gain through all of our activities. At the post-marathon party, Yo-Yo asked us, “Is what you did today relevant in helping you achieve your musical goals, especially your audition taking?” Since the Marathon, I have been thinking about his question, and I have actually discovered ways that these performances may help me in the future. Our first performance was in the Lufthansa Festival Tent, a rowdy heated tent serving mulled wine and beer at the downtown Christkindlmarket. After warming up in the Timber Haus, we walked through the Chicago winter (without coats! Sorry, Mom!) to the performance tent. As we entered the tent, people, a few jolly drinks in, were staring at us. I quickly unpacked my oboe, re-soaked my reed, set-up my stand with my music, all while nervously trying to figure out how we could configure our ensemble in the small space and introduce ourselves. I gave a tuning note, and in less than three minutes, BAM! We were ready to perform. What. A. Rush! All of these elements were over stimulating; I was physically shaking. Within seconds, I had to reign in my unanticipated excitement in order to deliver the high-level performance our group had prepared. Similarly, an orchestral audition is never an ideal environment for performing. You are shuttled around by strangers through a building that you do not know. Each room is a different temperature. And sometimes you have to play sooner or much later than you had originally expected. Being able to adapt and to not let circumstances shake your focus is vital to coming out on top. Being able to adapt and to not let circumstances shake your focus is vital to coming out on top. The score for Brandenburg Concerto No. 1 calls for three oboists. Since the regular Civic Orchestra oboists were assigned to other groups, two associate members were asked to join our ensemble for this concert cycle. At this point in my career, I do not have a full-time orchestra job (yet! ), but I do often substitute with professional orchestras, like these associate members did with us. Being a substitute musician requires instantly blending within the section (a seasoned group of musicians that have often performed together for years), while still making a positive musical and genuine personal contribution. When substituting, my insecurities can sometimes get in the way of being able to effectively reach these goals. Being on the flip side during this concert got me thinking about why I felt comfortable performing with these substitute oboists. Their supportive confidence and joyful spirit made it easy for me to focus and perform my best. These oboists truly left an impression on me. I hope to emulate their demeanor when I am in the hot seat as a substitute musician or have an audition trial concert with an orchestra. The City of Chicago’s tense headlines hit the international news during the first week of December 2015. “Black Lives Matter,” “16 Shots,” “Protests Rock the Magnificent Mile,” “Terror Threats Shut Down University of Chicago Campus.” These current events made some of us apprehensive about splitting up to travel to our assigned South Side neighborhoods. In addition, our insecurities about appearing to be forcing people to become fans of classical music surfaced more intensely. But Yo-Yo wanted the Brandenburgs to be our holiday gift to the whole city, not just the parts of the city where we were comfortable. So on the day of the marathon, our hearts and minds were solely focused on spreading human kindness through our performances of Bach’s music. After our performance at Green Line Coffee, for extra cheer, our ensemble circled the audience and played traditional holiday tunes, which inspired a spontaneous sing-a-long! #realsurroundsound To our surprise, where we thought we would be the most uncomfortable, we were actually the most comfortable. Each Brandenburg Concerto ensemble had their own South Side location and worked with the site host to curate their performance and reception (catered by Green Line Coffee) unique to their space and audience. Due to the overwhelming enthusiasm of our audience and our unselfish motivation, many groups found their highest level of music making occurred at the South Side concert. Civic cellist Sonia Mantell shows an audience member how to play. Photo credit: Todd Rosenberg. Like the rest of us, Yo-Yo also deals with overcoming stage fright. He said that when taking the stage, he pictures himself welcoming his audience into his living room to hear him perform. To him, his living room is the most comfortable place and full of love. One of his performance goals is for the audience to join with him in experiencing the music together. For me, it can be difficult to feel this “living room” comfort when performing on a high-pressure stage like the one at Symphony Center, or while sitting alone on the audition stage playing for a discerning panel of potential colleagues. But while we performed in the venue on Chicago’s South Side, I certainly felt the warmth Yo-Yo encouraged us to feel and exude. This will be an important experience for me to hold close to my heart and mind as I prepare for future audition days. Remember… this was our highest-level performance of the marathon! Our final marathon performance was for an audience full of Bach enthusiasts at the Fourth Presbyterian Church on Michigan Avenue’s Magnificent Mile. Literally in the spotlight, we gathered new energy from the audience after our long day’s run of performances. At an orchestral audition, the final round typically follows a grueling day. Here is when the adrenaline kicks in. You can taste it! You want that job! But you have spent your emotional, mental, and physical energy in the previous rounds. Yet somehow, running on fumes, you still need to put it all out there, while sounding effortless and inspired. At this point in the Bach Marathon, I was completely exhausted yet incredibly high on the positive experiences of the day. After our group’s performance, we joined the audience to listen and support the other Civic Orchestra ensembles. As I sat there, overwhelmed by the beauty of the enormous church, I realized that I was at the point of exhaustion. I wanted to become invisible, passively absorb the music, and not talk to anyone the rest of the evening. (And if you know me, you know how unusual that is!) But since I was sporting the Civic Orchestra T-shirt, during the intermission and between each following work, audience members continually chatted with me, sharing how much they enjoyed our performance. Their enthusiasm re-energized my spirit. After Yo-Yo performed with one of the Brandenburg ensembles, he too, joined the audience. I will always remember how he was the first one flying to his feet in ovation after the final concerto. What a supportive mentor! Our perseverance through to the end of marathon day was worth it. I have never run in a real marathon, but I picture the emotions that I was experiencing to be similar to those a runner would feel in the last miles of the race. Exhilaration, exhaustion, and finally, triumph, with the crowd heartily cheering you on through to the finish line! At the post-marathon party, my friends in the other Bach ensembles shared that they had similar reactions to their experiences: over-stimulation at Christkindlmarket, heartfelt connectivity at the South Side venues, and a final adrenaline rush at Fourth Presbyterian Church. Christkindlmarket offered us a first burst of energy and a chance to really focus. On the South Side, audiences had no preconceived expectations of our concerts, which gave us the freedom to perform uninhibitedly. In contrast, we typically play for audiences like the one at Fourth Presbyterian Church, full of people who know the repertoire and are possibly trained musicians. If we have any fear of inadequacy, it can prevent us from delivering our best music making. Rather, we ought to try to call on the comfort and warmth that we had at the South Side concert for times when we are performing under pressure. Reflecting on these experiences assures me that the Civic Orchestra events like these are preparing me for my next audition day. Thanks to Yo-Yo and the Bach marathon, you can guarantee that I have a fresh perspective on community engagement concerts. While outreach does create connections and build community through the power of music, I will remember that it can also positively transform my mindset and inform my musicianship to help me achieve my own professional goals.